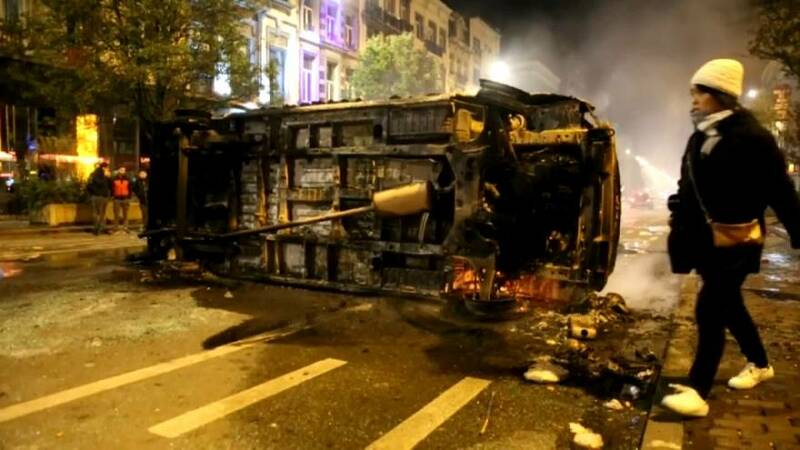 Following the qualification of Morocco for the World Cup, celebrations by some 300 football fans of Moroccan origin in the spot of choice for sporting events, the steps of the stock exchange in the center of Brussels, turned into riots. Disturbances were reported in the City centre, Place de la Bourse, venue of the Christmas market under construction. Police say several cars were set on fire and shops looted. Some 22 police officers were injured and riot police with water cannon were needed to disperse the mob. Calm was restored two hours after the violence erupted. The association also encouraged the fans to buy more tickets in order to attend the competition.